Having spent a significant portion of my life travelling around the globe, meeting new people and adjusting to different cultures, if there is one thing that has remained constant throughout these years, it’s my love for technology! My passion for IT led me to build my very own Digital Marketing firm from the very scratch in 2004 and then pioneer a second company, i4Tradies, in 2016, born out of my genuine concern for Australian Trades Services Industry struggling to keep their game up in the digital world despite being one of the biggest contributors to our economy! It was around the same time, that Microsoft selected me as a brand ambassador for Microsoft Surface, which is their powerful and mobile laptop lines. Since then I have been keeping a close eye on the tech giant’s incredible product lines, constantly looking out for solutions that complement our company and our clients, while enhancing the productivity of our teams! In 2016, Microsoft CEO, Satya Nadella, visited Australia offering a wide range of business solutions, aimed at helping SMBs accelerate their business with greater flexibility every step of their journey to become leaders in their niche! Having used several of Microsoft’s hardware and software solutions for my own business in 2016, I can already see the huge potential these new products can offer to start-ups as well as established Australian SMBs entering 2017 with a bang! As versatile as your business needs are, Microsoft Surface is designed with you in mind! Starting from Surface Pro, to Studio and Surface Book, this new device has given me and my customers the power to take our business where ever we go! Surface Pro is an incredibly versatile and ultra-thin tablet that has the power of a laptop and the convenience of mobile. Surface Studio offers a huge canvas from drawing to drafting and doing all sorts of creative work right from your desk! It’s collaborative power offers many opportunities in fields like engineering, architecture, photo and video editors and creative studios. Lastly, the Surface Book, is here to replace your traditional laptop with more power and performance to get the results you want! Whether you are looking for the convenience of a laptop in a tablet, want to turn your desktop into a studio, our simply want to enhance your performance with an all in one laptop, Microsoft has the perfect Surface device you are looking for! Microsoft Office 365 allows Australian small businesses with dispersed teams and stakeholders to work better together anywhere, anytime. With the ability to securely sync and share Word, Excel, PowerPoint and OneNote files through Microsoft cloud storage OneDrive for Business, Microsoft Office 365 has allowed my team to collaborate and stay productive on-the-go. The familiar Outlook experience with 50 GB storage lets employees send business emails, while making hosting meetings through online HD video conferencing a breeze. Outlook is so powerful it enables me to manage my work with a planner that makes it easy for me to organize and assign tasks to my team members while keeping up with the progress through real-time updates! Additional Microsoft apps include, Access, Project, Publisher, Visio and Sway! You’ll find Sway especially useful for your business and is an app I often use to tell stories through interactive reports or presentations. Give it a try! From messaging to meetings and screen sharing, Skype for Business gives you a secure platform to communicate and collaborate with colleagues! Working from remote locations or while you are away from office, is quickly becoming a norm with many people using the free Skype public version as the ultimate tool to communicate with their colleagues. If you want to unlock the full power of Skype then you need to try Skype for Business, which has taken my business’s regular Skype experience to the next level making teamwork simpler and faster! Without having to train my teams to use yet another communication tool, Skype for Business seamlessly integrates with other office applications that everyone is already used to! 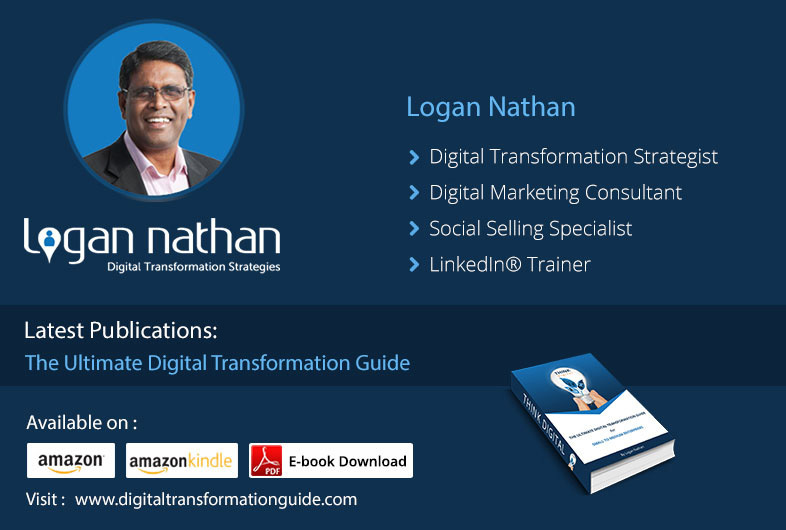 As a Digital Transformation Consultant and Strategist, Skype for Business has been extremely helpful for me to run webinars or hold online trainings for up to 250 participants. My team can see the availability of other members, schedule meetings or simply share ideas right from their Word or Excel apps without having to leave Skype for Business! One other huge benefit is the function to record the sessions. This alone is worth the investment. The recording can be uploaded into Sharepoint and uploaded as a document for reference. Windows 10 Pro is an agile and cost effective way for small to mid-sized businesses to transform the way they work on a secure platform! To me, it provides an easy way to switch back and forth between the personal and professional aspects of my life, from the office to my home! But that’s not all! Window 10 Pro includes all the features of Windows 10 Home, plus some great businesses functionalities! It is an efficient way to keep my teams connected, be responsive to our customer requests and enhance our productivity at every step of the way! One of the elements I love about Windows 10 Pro are the Virtual Desktops. You can open up different desktops for each client and have them all accessible at a single click. Another service I love is Cortana. Wow! Cortana provides universal search functionality. Can’t find a file? Type in the keyword(s) into Cortana and Cortana will find it for you on your device. What to do some research? Type the keywords into Cortana and Cortana will do a Bing search for you and provide you with the results you need. Oh and you can do this using your own voice as well! Some other worth noting features of Windows 10 Pro include the Advanced Threat Protection, keeping our confidential business data safe, making Windows 10 the most trusted platform for us. On top of that, the BitLocker further encrypts all confidential information making it even more secure. Windows Upgrade Analytics Service empowers small businesses to fix issues that could hamper their upgrade while Windows Ink is intended for touch screens on devices such as Microsoft Surface to be used with a stylus-like pen, allowing you to capture ideas through a powerful ink without even having to log in. With more than 2/3 of brands aiming to differentiate themselves through superior customer experience, Microsoft Dynamics CRM may be just the solution your business needs to stand out! Microsoft Dynamics 365 is a business management solution for small to mid-sized businesses to empower employees with the right information at the right time, streamlining their processes to quickly respond to business and customer needs anywhere, anytime and through any device! From Enterprise Resource Management ERP to Customer Relationship Management, Microsoft Dynamics covers everything from Sales, Customer Service, Operations, Filed Service Management, Project Service Automation, Marketing and Customer Insights, helping small to mid-sized businesses make their teams more productive and effective by providing rich data for insight. In turn, this improves their decision-making processes with all business and customer data at their fingertips! As a small yet progressive business, we are planning to try all the features of Dynamics 365 to see how it will help us with the development and deployment of our SaaS projects. Dynamics 365 has huge potential to unlock many opportunities for many Australian SMBs. The best part is that you have the convenience to choose a solution that you need to run your business and then add more services as you grow! With this modular approach, Microsoft the best interests of businesses in mind. Use only what you need to help you scale. Building a connected professional world, Microsoft’s decision to buy LinkedIn can now help people find jobs, develop skills, promote their brands and grow their business! Having spent a significant number of years training individuals, teams and organisations on how to leverage LinkedIn for their professional growth, I believe Microsoft’s acquisition of LinkedIn will prove to be an unbeatable offer for SMBs seeking to expand their CRM efforts! The move will help small to medium business owners bring the professional information of their network from LinkedIn and merge it with Office 365 and Dynamics 365, creating unique experiences such as suggesting experts they should connect with or showing articles related to a project they are working on! Now imagine integrating the experience of communications and collaboration by boosting more efficient workflows and processes via Outlook and Skype for Business. Amazing to think what is in store for us. That’s not all! With the merger, LinkedIn Learning platform, Lynda.com is also likely to play a role in facilitating small businesses to access a library of on-demand video courses by the experts in their niche. With the highly-anticipated merger of Microsoft Dynamics (CRM) and LinkedIn Sales Navigator, small to medium businesses are also likely to see an exponential growth in sales leads. SMB’s might also experience more targeted B2B ads when using Bing (Search Engine) thanks to LinkedIn Lead Accelerator, a unification of profiles across Outlook, LinkedIn and Skype for Business and keep updated about events and appointments with Microsoft’s Cortana Digital Assistant. Microsoft small business solutions help SMBs in Australia work smarter and run their businesses on their own terms making it simpler to connect with customers, with the right information at the right time with the ability to take their business anywhere, manage it more efficiently and drive greater profitability. The most responsive and customer-centric driven business will win with these tools. Moving forward, our plan for 2017 is to integrate these Microsoft products to work seamlessly towards our company’s expansion goals and to help boost our team’s productivity taking it to the next level of excellence! 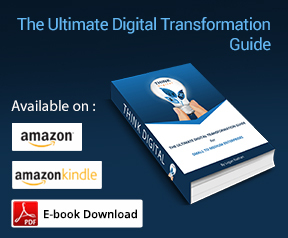 With New Year just around the corner, now is as good a time as any, to strategise towards digitally transforming your business with these tools to prepare and take advantage of the numerous opportunities available to you. Drop us a line and we’ll be more than happy to share market-leading best practices to get a solution tailored to your specific business needs!